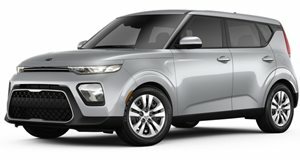 Maui and Sons take on the Kia Soul is a bit bland and lacks some bite. The U.K. version of the Kia Soul, the quirky crossover from the South Korean automaker, has been given a special edition trim level thanks to the clothing brand Maui and Sons. In addition to electronic devices and heated side mirrors, the Urban Shark Edition features leather seats, leather trunk option and leather covering on the shift knob. The Urban Shark is powered by a 1.6 CRDi diesel engine that can put out 128hp and 192lb-ft of torque. Performance numbers have the Shark lazily swimming from 0-62mph in 11.3 seconds and hitting a top speed of 113mph. Other upgradeable options include metallic paint, full leather interior and a 4-speed automatic transmission. Everything included, the car still lacks a bit of pizazz that you would expect from something entitled the Shark Edition. The Kia Soul 1.6 CRDi Urban Shark Special Edition prices at €20,500.